I know it's not summertime, one because there is still a massive amount of snow and two the air quality is pretty much beyond gross! 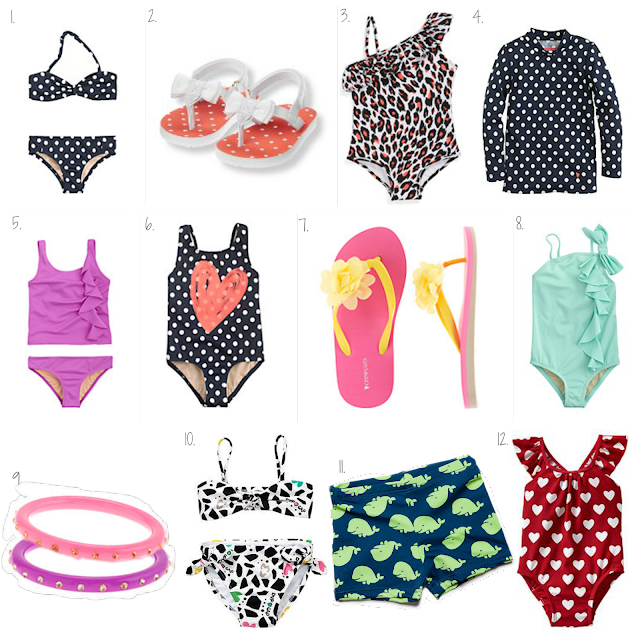 But all of our favorite places to shop have SWIMSUITS right now! It makes me eager to be sun-kissed and have long summer days! These are seriously all must haves! Can you have too many suits?!? Never. Looking at this swimsuit and these sandals reiterates the fact that I belong on the beach! I love it! The sun. The sand. The ocean. The long nights. The warm kisses from the sun! and PALM TREES! So there are 10 days left until Christmas morning and that means this next week I am busy. Santa's helper. The baker. And the gifter! 'Tis the season!